Manchester United may be closing in on their first signing of the January window, and it’s an interesting one. The Express claim that Gary Cahill could be on the move in the winter transfer window, with Chelsea boss Maurizio Sarri ready to let the Englishman head out on loan. 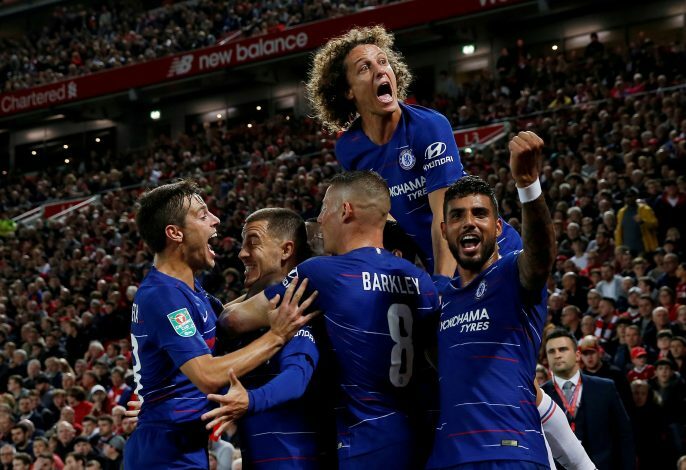 Cahill has endured a difficult start to this particular Premier League season, and has only made one appearance for the Blues, leading many to believe that a move away from Stamford Bridge seems like a no-brainer. The defender has lost his place in central defence to Antonio Rudiger and David Luiz, with the pair performing admirably under new manager Maurizio Sarri. Manchester United have reportedly come calling for the center-half, knowing that they need to do good business in the defensive department if they are to have any chance of making the top four this season. Boss Jose Mourinho was critical of United chief Ed Woodward at the start of the campaign for not letting him sign any of the five defenders he had asked for, but he may finally be getting that backline member he has been looking for. One of the reasons given by United chiefs at the time to Mourinho was the lack of funds available to sign top players, but a loan deal for Cahill could solve that particular concern, and if all goes well, a permanent deal may also be discussed at the end of the season. The Red Devils aren’t the only ones interested in the 32-year-old, however, with reports suggesting that the likes of Southampton, West Ham United, Aston Villa, and Sheffield Wednesday are all keen on acquiring the Englishman’s services. The former Bolton Wanderers player was a part of the Chelsea squad that lifted the Champions League in 2012, and he has even won multiple Premier League trophies with the London club.